Home › life › A Mom Is Breastfeeding Her Baby. But What’s Behind Them Causes Thousands To Share Her Pic. A Mom Is Breastfeeding Her Baby. But What’s Behind Them Causes Thousands To Share Her Pic. Becoming a mom or dad is among life’s greatest moments, and it’s the beginning of a lifelong relationship between parent and child. But it also means that all of the free time you previously took for granted suddenly becomes rare. There are more chores, more responsibilities, and far greater challenges to overcome as you put together this puzzle called life. But if the two of you work together on the puzzle, everything becomes much easier. And that’s exactly why an image that was recently posted on Facebook has been shared by thousands of parents on social media. 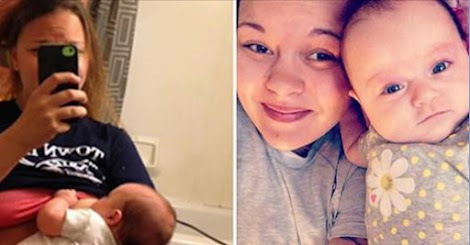 When Emily Webber sat and nursed her daughter, she took the opportunity to take a selfie in the mirror. And now her photograph has gone viral. But the picture hasn’t been liked more than 24,000 times and shared 3,500 times because Emily is breastfeeding her daughter. It’s actually about what’s going behind her. 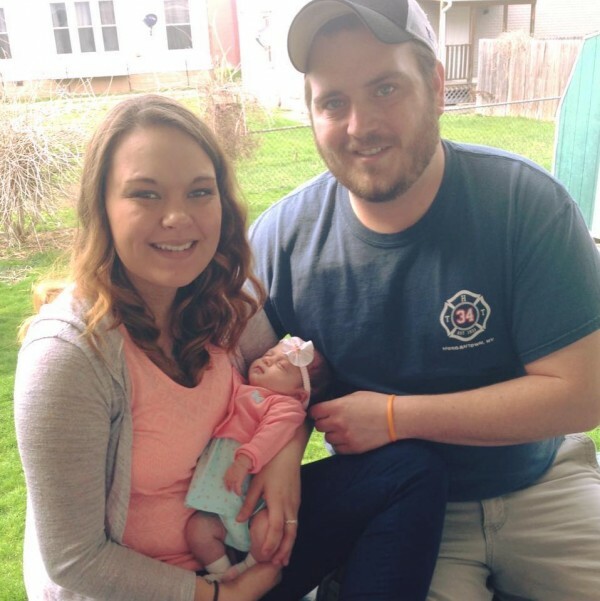 Look at what Emily’s boyfriend, and the child’s father, is doing! “True love is blow drying her hair while she breastfeeds because you don’t have a whole lot of time so you kill 2 birds with 1 stone!” the caption to the picture says. It may not be the biggest deal in the world, but this snapshot of a family’s private moment shows how sweet and beautiful life can be, and how much love can exist within a small family. Do you also love how this couple works together to face the challenges of parenting? Share their photo with your friends!